Should I be adding Freon to my system regularly? No. As a matter of fact it is illegal for a company to add Freon more than twice without locating the leak and repairing or replacing part. 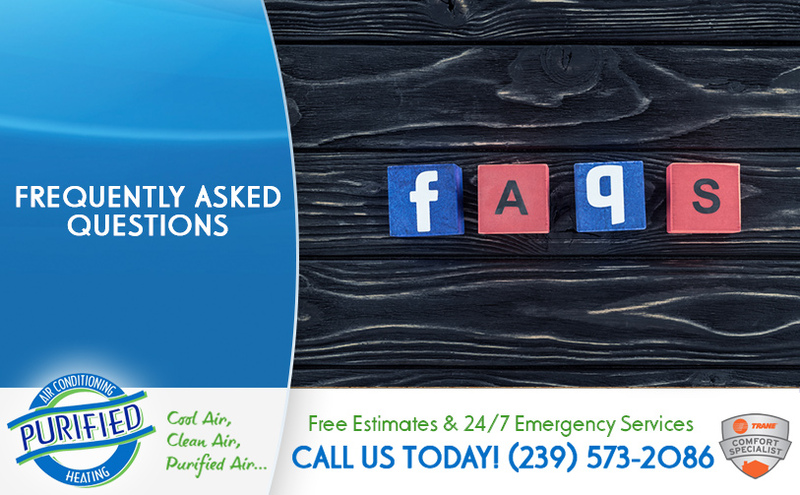 Your air conditioner is a sealed system and should never need Freon without there being a leak somewhere. Do I really need to get a maintenance on my system every year? Yes. Whether you actually know it a regular maintenance helps prevent costly break downs. More importantly it helps keep you in the loop if there are signs of something beginning to fail. You would like to know if your car was about to break down, wouldn't you also like to know what's going on with your air conditioner. This is also the best way to prolong the life of your air conditioner. This depends on the type of filter. If you have the standard 1" filter it is recommended to change those out every 30 to 90 days. However, we recommend considering the performance of your unit when you choose the time frame you change them. The cleaner the filter the better your unit can operate and the less stress that will be on your motor. If you have a filter system that has a 5" filter in it the timing of changing those can be much longer. Every 6 months to a year depending on the environment in your home.